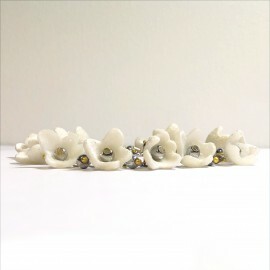 White Flow bracelet with flowers. The bracelet is light. Flowers about size 1-1.5 cm suspended on a chain of blue and gold. The flowers were made by hand from polymer clay. In addition, 4 mm hematite beads are suspended between the flowers. The bracelet is fastened with a snap hook, which makes it possible to match the hand's circumference. 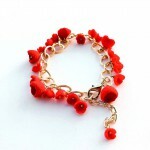 A red bracelet with flowers made by hand. 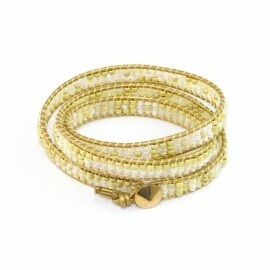 The bracelet is very light because of the gold-colored aluminum chain. 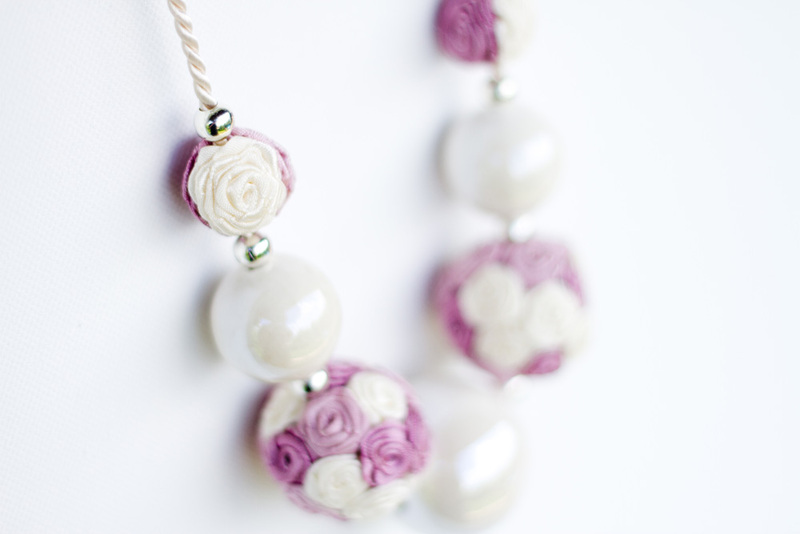 The flowers were made by hand from polymer clay. The clasp makes it possible to match the hand's circumference. Joly pearl bracelet with small mother-of-pearl beads and very decorative stones in pink, gray and turquoise. 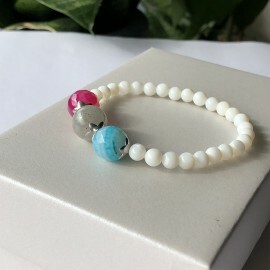 Large beads with a size of 12 mm. The size of the bracelet will be suitable for a wrist with a circumference of up to 17.5 cm. 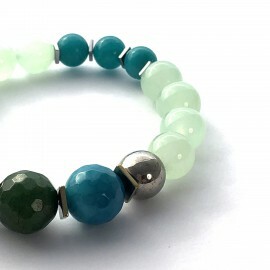 July green bracelet with small jade, large brown agates and green jade size 12 mm. The bracelet can be customized. Pink Flow bracelet with flowers. The bracelet is light. Flowers about size 1-1.5 cm suspended on a chain of silver and gold. The flowers were made by hand from polymer clay. 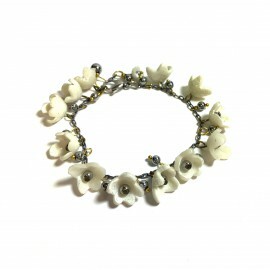 In addition, 4 mm hematite beads are suspended between the flowers. The bracelet is fastened with a snap hook, which makes it possible to match the hand's circumference. 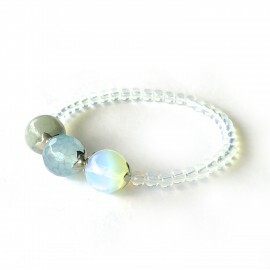 Joly bracelet with fine opal. 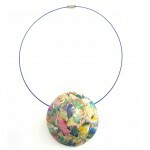 An additional decoration are 3 large stones 12 mm opal, agate and jade. The bracelet looks very nice on the hand, it is delicate and very interesting. 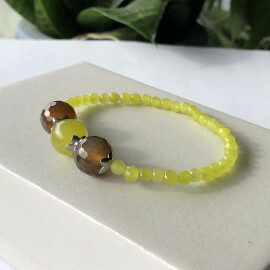 The size of the bracelet will be suitable for the wrist with a circumference of up to 17.5 cm, but there is a possibility of matching. Bracelet with TOHO beads on a leather strap. 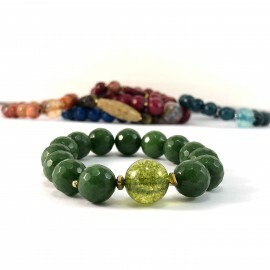 Green turquoise Joy is a bracelet made of stones with a size of 12 mm - 8 mm. 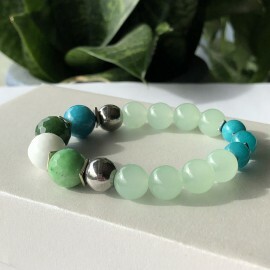 White agate, turquoise and green agate and jade. The decorating element is two hematites in golden color. 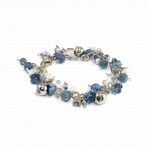 The size of the bracelet will be suitable for a wrist with a circumference of up to 17.5 cm. 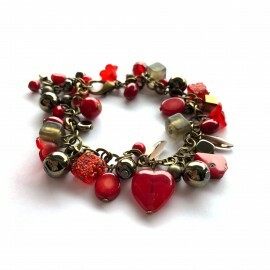 Coral bracelet with a pendant, 8 mm beads, mounted on a jewelry elastic. 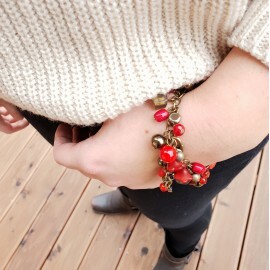 The bracelet is very comfortable in putting on and carrying. It fits the size of the wrist up to 17.5 cm. 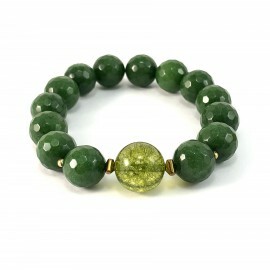 Bracelet with beautifully green agates. The size of the bracelet will be suitable for wrist circumference up to 18.0 cm. 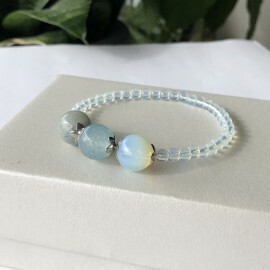 I encourage you to purchase handmade jewelry produced in very small quantities using the best quality materials and unique. The jewelry manufactured by me is very feminine and work on it gives me great joy. If you have any questions or requests, please contact me.